Why can’t you get Black Sheep Best Bitter at Wetherspoons? 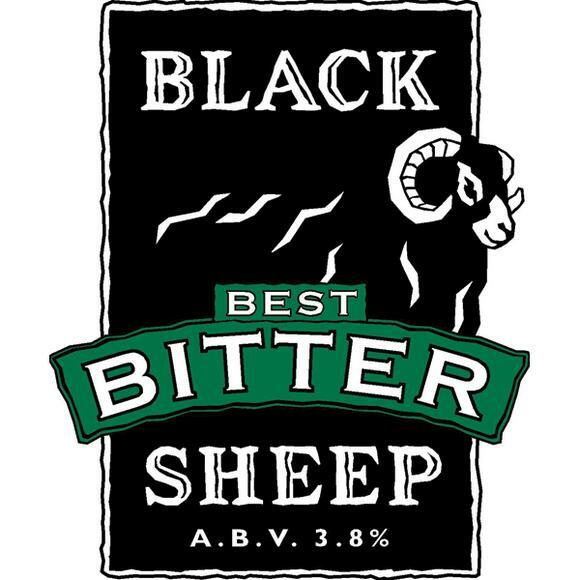 Black Sheep Best Bitter is the the flagship product of the Black Sheep Brewery of Masham, North Yorkshire. I live in the brewery’s heartland, and the product is sold in pretty much every pub here. Provenance is nothing new: many regions have a local beer that they love: Newcastle Brown Ale, Sharp’s Doom Bar in the South West, Deuchars IPA in Scotland, Bass and Pedigree in Staffordshire and Derbyshire. Black Sheep Best Bitter is ours. How did Black Sheep become so ubiquitous? For one thing, it’s local, which always helps. It’s independent from a major corporation and is family owned: people like that aspect. The product is really good: it’s deliciously hoppy, with a hint of demerara sugar and a crisp, dry finish that leaves you wanting another. It has strong marketing that is quirky and ideosyncratic. It emphasises the rural nature of the product because sheep feature prominently in its advertising and through the brewery tour. It is respectful of tradition, yet modern and unfusty. Outside its home county, it has the “brand Yorkshire” behind it, which has connotations of quality, value, craft and tradition. Black Sheep products such as Ale, Riggwelter and seasonal beers are available in bottles in your local supermarket. The Ale is also available in cans. But the flagship Best Bitter is never found in supermarkets. This is deliberate, to ensure that you can only find Best Bitter in the pub. That the product has not been subjected to commodification in this way makes it seem special and premium. Best Bitter has to be sought out, which raises its value in the eyes of the consumer. It makes business sense as well, as I’m sure there are higher profit margins from selling to pubs than to supermarkets. It means that pubs are able to compete against the might of the supermarket: they can offer an exclusive product. In that sense, it’s also a moral standpoint. For the same reason, Black Sheep refuse to sell Best Bitter to the J D Wetherspoon value pub chain. In my local market town of Richmond, almost every pub sells Best Bitter, for around £3.10 a pint. If the local Wetherspoons stocked it they would be selling it for £2.29. Why would anyone pay more at one of the other pubs if Wetherspoons were selling it cheaper? This works in the pubs favour as they don’t have to compete with Wetherspoon prices directly. It also helps Black Sheep as they surely sell a lot more beer at higher margins if 8 pubs in town stock their beer, rather than one. The only other major cask ale brewer in the county who don’t bottle or can their flagship beer is Theakston (if you class their higher selling Best Bitter as their flagship product, rather than the better known Old Peculier). Theakston are also located in Masham. It makes business sense to me. I wonder why other brewers don’t follow their lead.